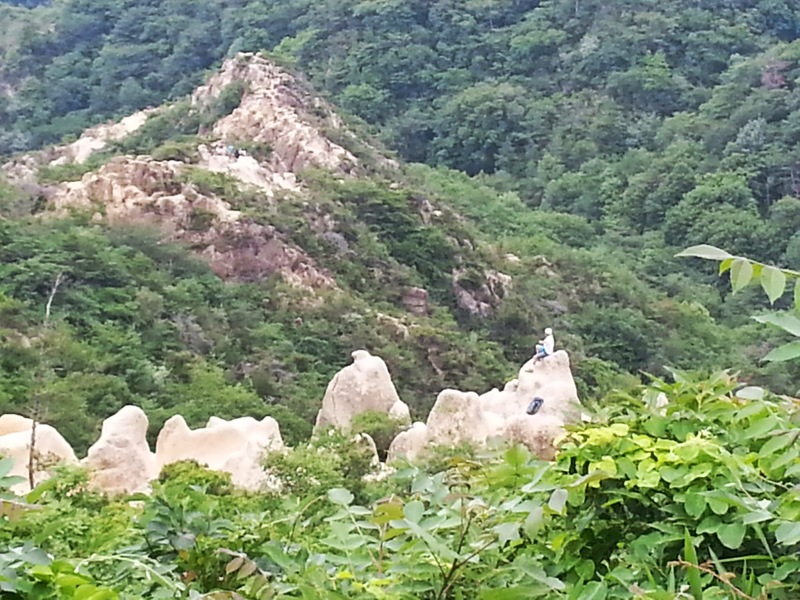 We Love K a n s a i: Things to Do: Go Get Lost in the Mountains of Hyogo !! 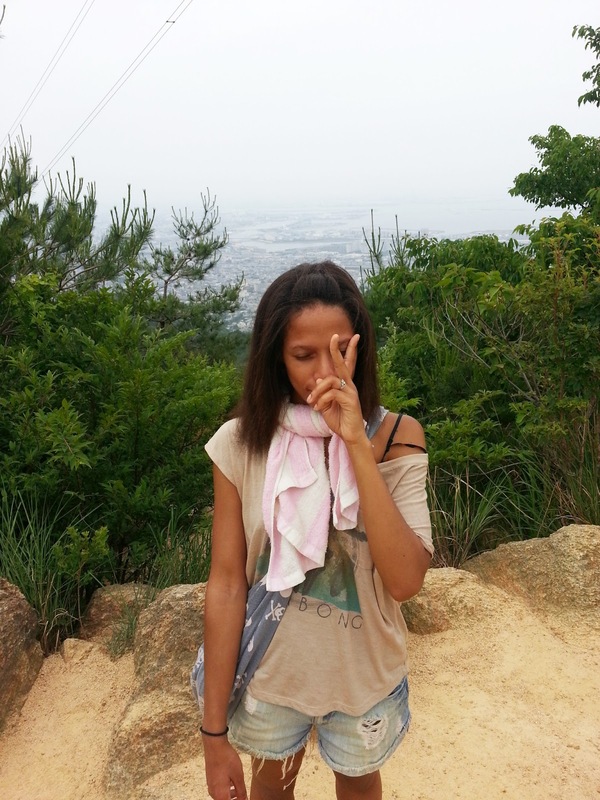 Things to Do: Go Get Lost in the Mountains of Hyogo !! View Ashiyagawa and Arima Onsen in a larger map. Exhibit A. So back in early June or so, a couple of my friends and I decided that we all wanted to get out more, get a little exercise, and be able to hang out without spending money. So we gathered a few items, some good walking shoes and headed out to Ashiyagawa in Hyogo Prefecture. What ensued was the worse spur-of-the-moment hiking trip of all time. The originator of this idea was the who I assumed (we all know what happens when you do that) had all the details down. 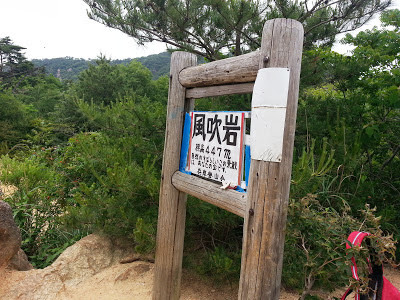 We were going to take a short hike, not more than a few kilometers, through the forests near Mt. Rokko to Arima Onsen, where we would, upon arrival, enjoy a nice free foot bath. Simple enough. Where it gets complicated is where the trip planner gets fuzzy with the actual hiking directions/distances. 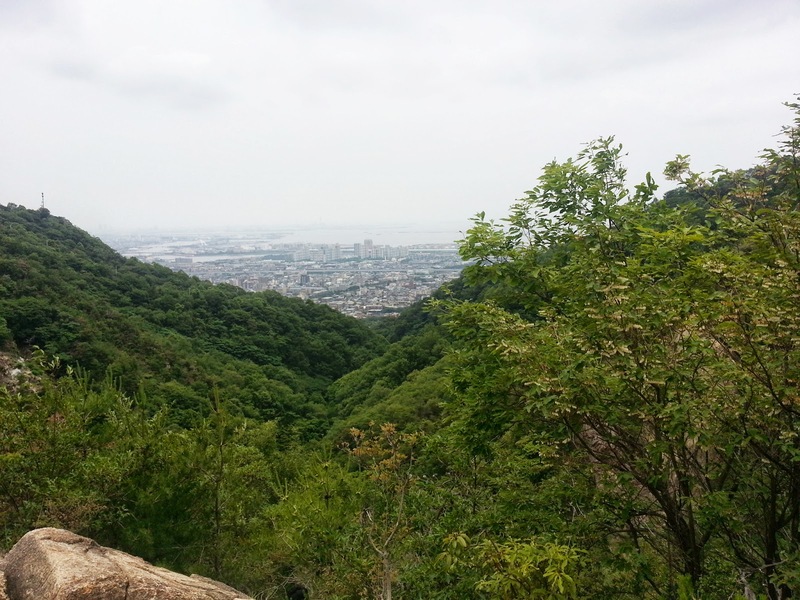 So what was supposed to be a 3 or 4 kilometer hike, turned into an 11 km hike that will never be done again. 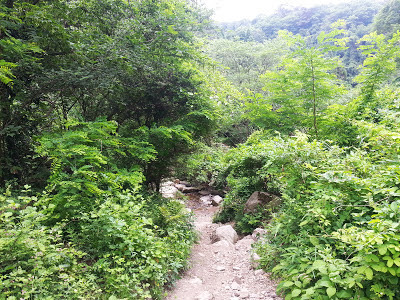 Now I've tried explaining this trip to a few different friends, but the thing is, unless you're extremely familiar with where Ashiyagawa and Arima Onsen are in relation to one another, you won't have a clear idea of how ridiculously long of a walk we took. Thus Exhibit A above. I've tried to plot out the few places we stopped (we stopped A LOT), but you can get the general idea from the blue markers. I won't lie, I enjoyed the first 3 or 4 hours. I took a ton of photos and video with my nice camera for that walk up the first mountain. But really, once you've climbed one mountain, you've climbed them all, am I right?? A nice view from one of our earlier summits. 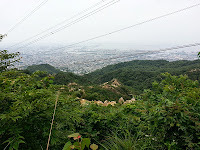 The city laid out below is Ashiya, which is where many rich Japanese people live. All the cars we passed on our way to the trail were Mercedes Benz, BMW, or other luxury vehicles. But the best part was the houses. Unlike standard homes built off of one basic model, almost every home had it's own design aesthetic! If for some reason I was never allowed to leave Japan, I would demand to live in one of those homes. Those photos are on my nice camera though, so I'll save them for another post. For now, use your imagination..! A little further along, we made it to this nice jumble of rocks. And me, somewhat posessive of an adventurer's heart, couldn't resist a small climb. The view from the top of the rock was great, but no one else made the climb. I guess it's true what they say about it being a little lonely there on the top, am I right?! I don't know if I can stop doing that. I'll try though. 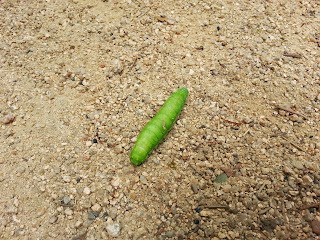 And then I encountered this little guy on the trail. 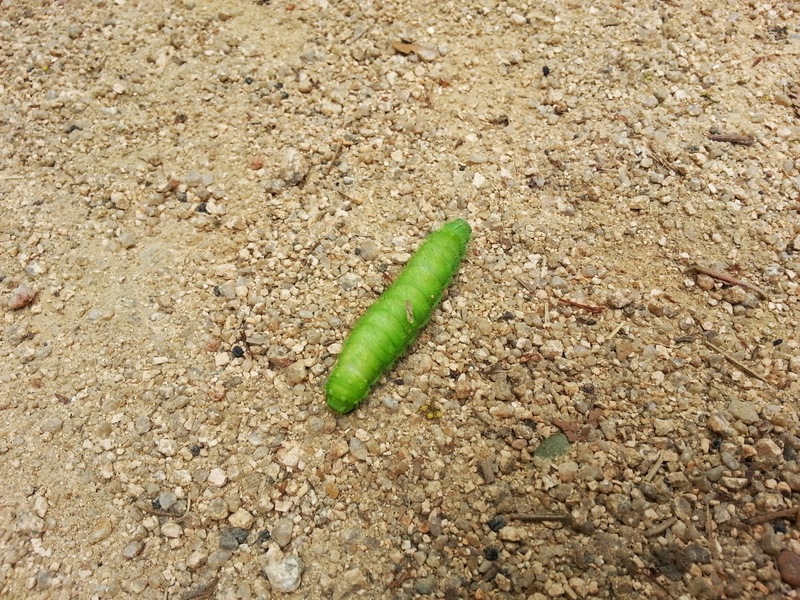 I'm usually quite impartial towards insect, but this one reminded me of one of the little slugs eaten by Timone from The Lion King so much that I had to snap a photo and share it! I didn't eat it though. Now look at these two photos. On the right, we have a man, sitting on the top of a very big rock. The left, a zoomed out version of the same man. Now, can you find him in the zoomed out version? Don't worry, I'll wait. 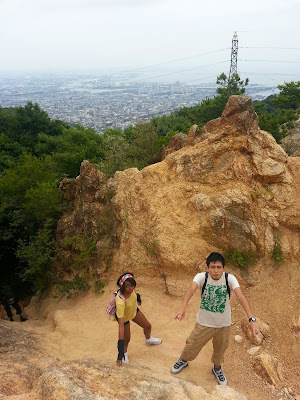 And then we made it to Kazefukiiwa (風吹岩） which, I learned from the Google, is just considered a somewhat large hill. Thank you internet for belittling my tiny hiking accomplishments. Anyway, there were quite a few families up there (with very small children, 2-3 years old), stopping for lunch before going back down I suppose. FYI. There is nothing really kid friendly about this hiking course. At some parts, it requires more rock climbing which put much fear into my heart when I saw a mother pushing her little 3-year-old up the mountain face. Not recommended. The poor babe could hardly balance on his own two feet let alone a slippery, rocky path. From here, I do believe you can see all the way to Osaka. But it's all just buildings to me. Do I look tired in this photo? That's really too bad seeing as this isn't quite the halfway point. 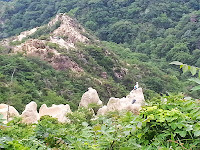 As we were leaving Kazefukiiwa, we walked by this huuuge piece of mountain protruding from the ground. This photo doesn't really do it justice since there's no human to compare it with, but trust me. It was huge (and that is what she said). 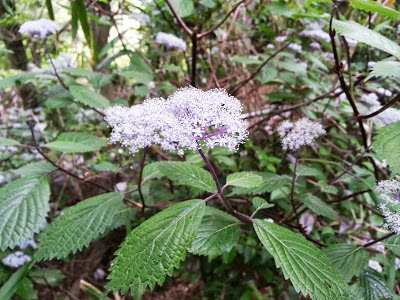 A shot of some of the flowers growing in the forests. While I did read that there are special varieties of flowers that grow within the forests, the names are lost to me now. 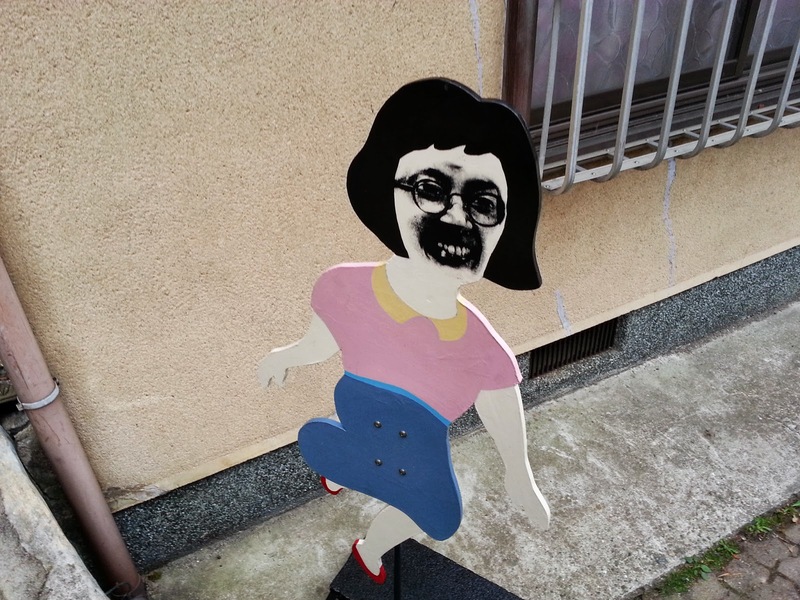 Perhaps, if they pop up in a photo later, I can do a quick translation. Anyway, this flower reminds me of something a little fairy would be hiding in (overacting imagination set to ON). Here's a nice example of what a lot of the trails look like. 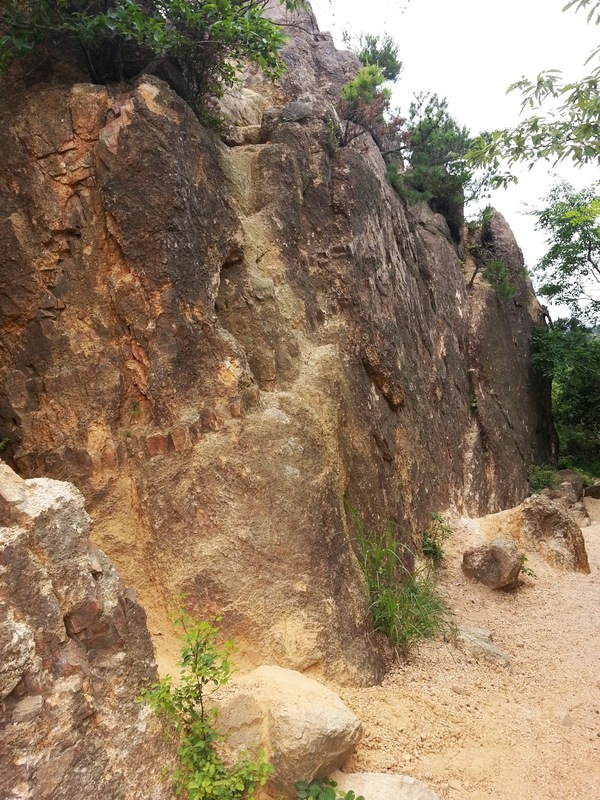 Some have small manmade steps to help with small climbs, but a lot of the time, it's just a rocky path. 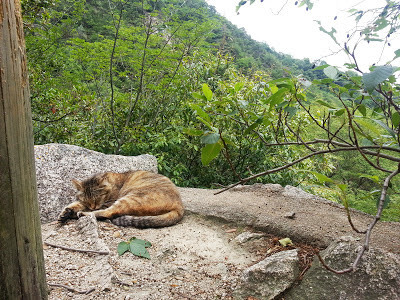 You really have to be careful which rocky path you choose too because there are quite a few and they all run in many different directions (some to Mt. 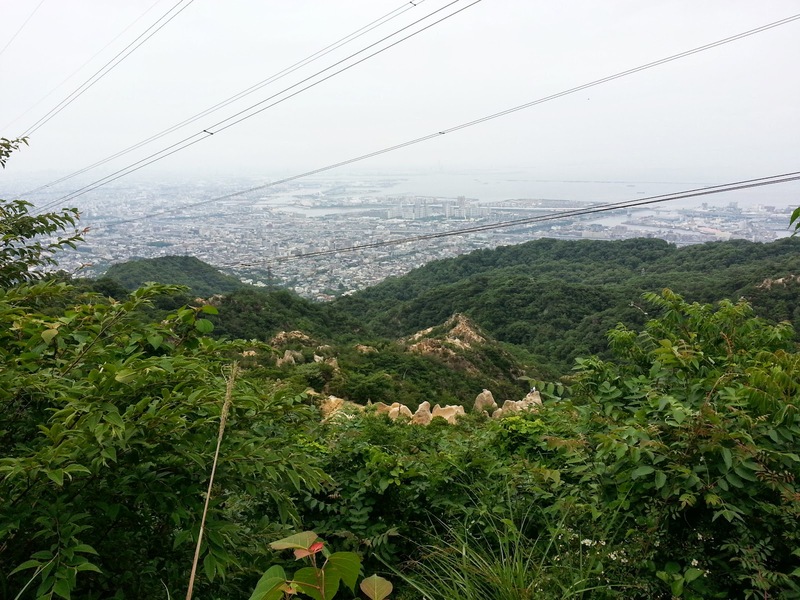 Rokko, some to Arima Onsen, etc.). It was by the time we reached this dam that I grew sick of photo snapping, all the trails began to look similar and in the back of my mind I thought that we might not make it out. And I also wished I had a machete on hand (best weapon for any situation). 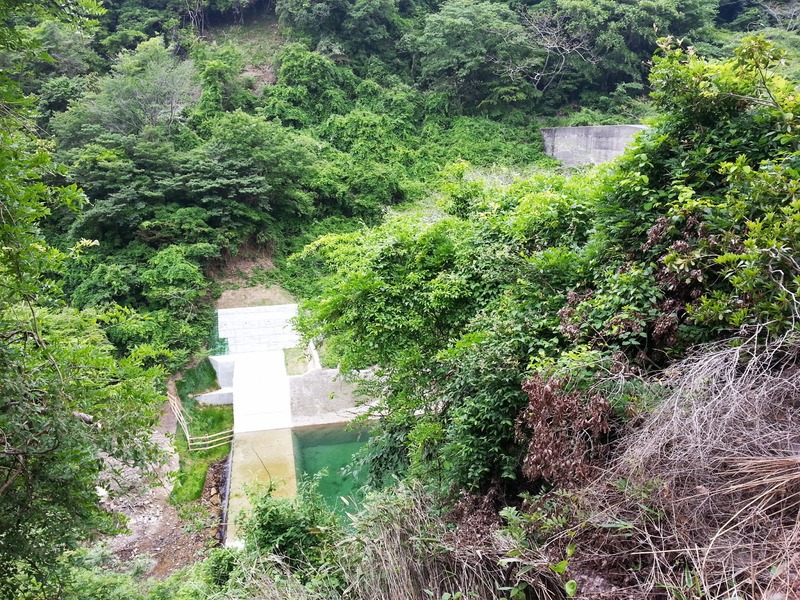 If you check the Google Map, I've labeled the dam, and you can see how much is left until Arima Onsen. We made it to Arima right as the sun was getting ready to set. And much to our chagrin, the foot bath was full of people (mostly children), so we couldn't get a spot. At least we got to walk around Arima? You have to look for the bright spots after a wandering the forest for the better part of 7 or 8 hours. After we found the express bus station with a one way ride to Osaka, we hopped on that and just headed home. We do plan on going back to actually get into the onsen. Sometime. By that bus. From Osaka. Until then, I suppose we always have the memories. And I that's the story of how I will never go hiking again.